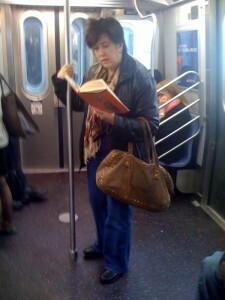 This picture was sent in to me of a woman she observed on her morning commute from the F train. Standing. I’m impressed!